Preacher at Safed in the sixteenth century; died at Venice in 1602. 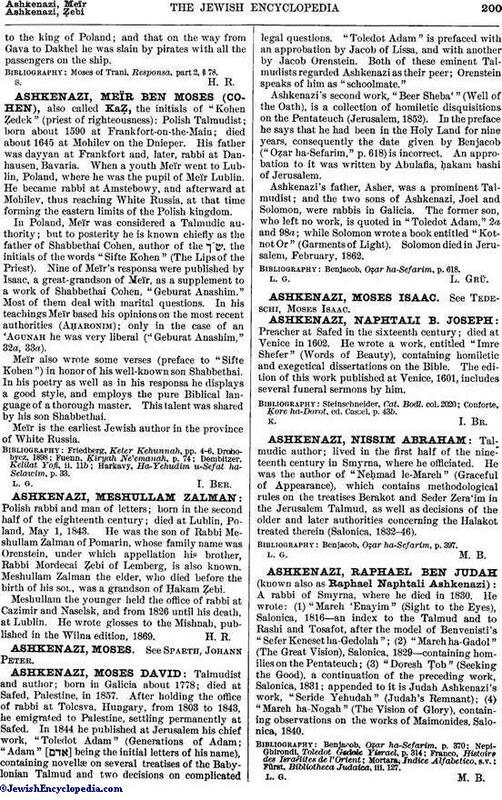 He wrote a work, entitled "Imre Shefer" (Words of Beauty), containing homiletic and exegetical dissertations on the Bible. The edition of this work published at Venice, 1601, includes several funeral sermons by him. Conforte, Ḳore ha-Dorot, ed. Cassel, p. 43b.